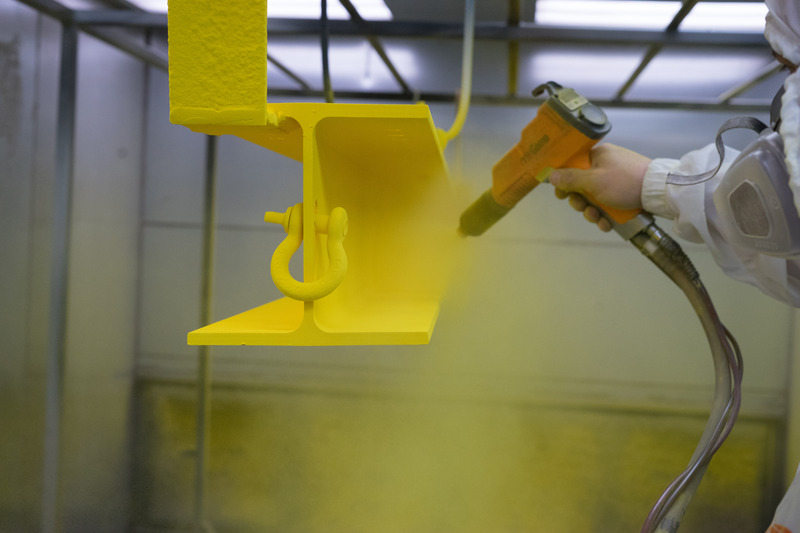 Powder coating is a method of applying a decorative and protective finish to a wide range of materials and products that are used by both industries and private consumers. The powder used for this process is a mixture of finely ground particles of pigment and resin, which is sprayed onto a clean, prepared surface. The electrically charged powder particles adhere to the grounded surfaces until heated/fused in a curing oven. The result is a uniform, durable, high quality, and attractive finish. Powder coating produces an attractive finish that offers excellent resistance to corrosion, heat, impact, abrasion, fading from sunlight, and extreme weather. Color selection is virtually unlimited. While both paint and powder coating look even on items, powder coating is a better alternative because it lasts much longer and is better for the environment. What types of items can be powder coated? Any item up to 30 feet long and must be able to conduct an electric current. You bring us your metal item for powder coating. In many cases, the item or items may need to be media blasted and/or power washed to promote the best adhesion. The last step is a trip to the oven where the finish is heated, fused and cured onto the parts. This is a simple summary of the process. You are welcome to come in or call for further details.